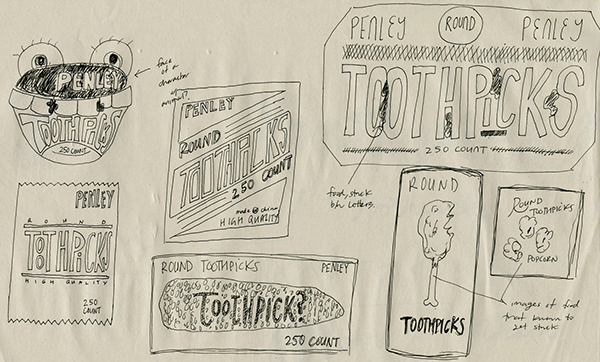 For this project, our class was asked to redesign a product found at Duane Reade and to create a line extension that would accompany the product. 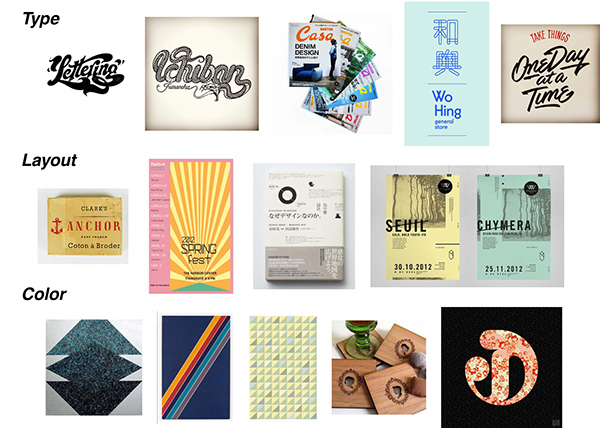 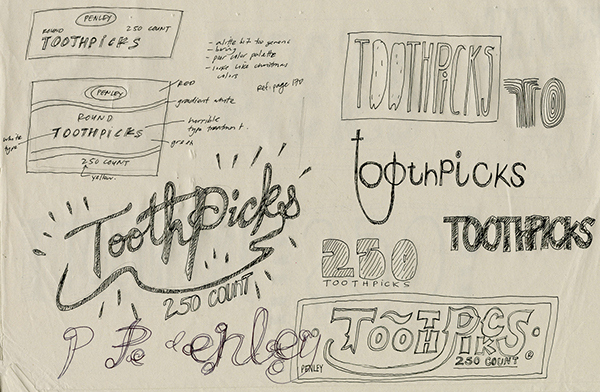 We approached the redesign by focusing on the elements that needed to be resolved. 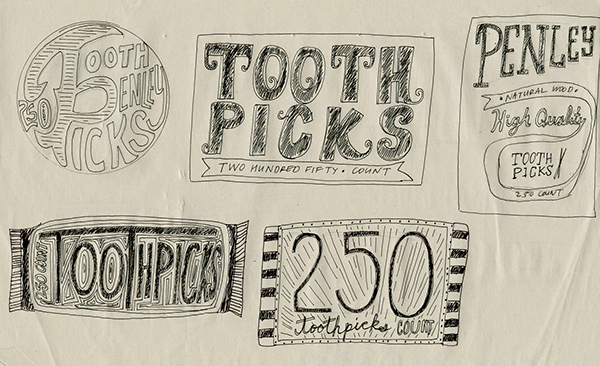 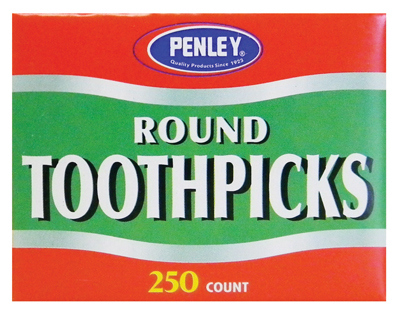 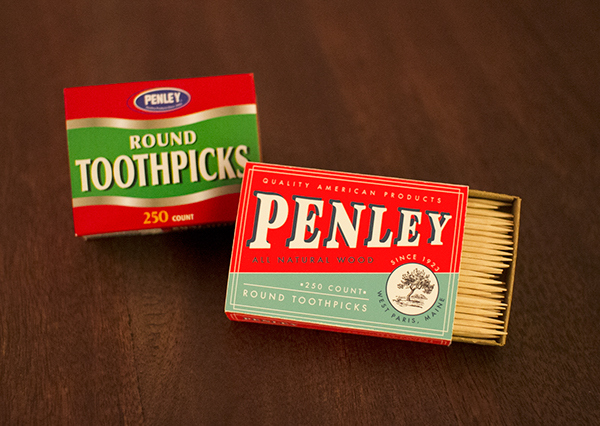 I decided to recreate Penley's toothpicks. 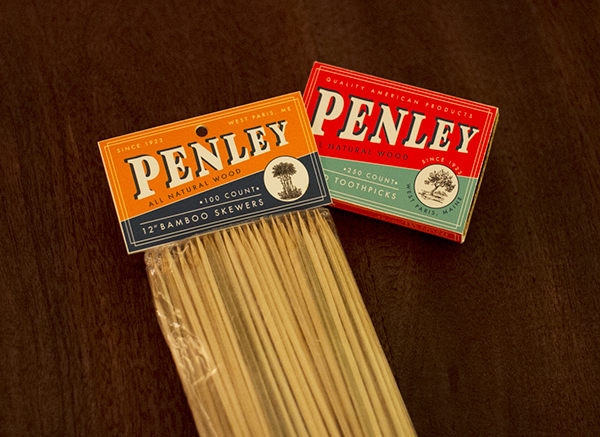 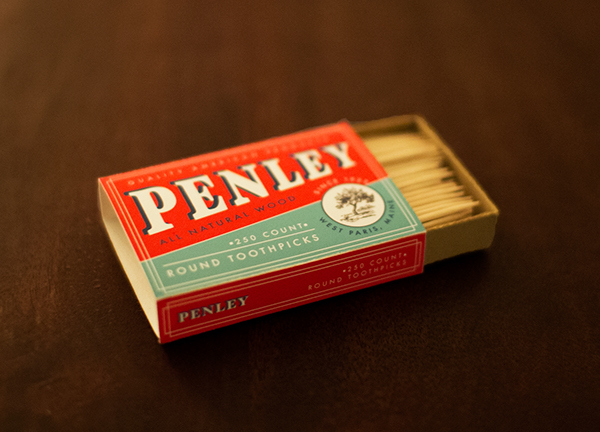 Founded in 1923, the Penley company specialized in many wooden household items distributing from their mill in West Paris, Maine. 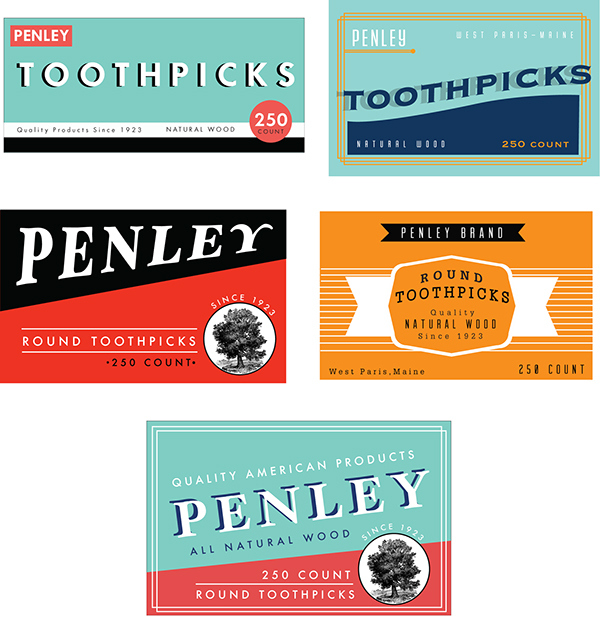 My objective was to pay homage to the history of the company by giving a tradition, classic look to the packaging.